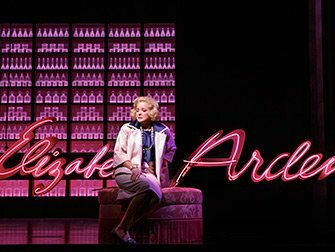 Save on War Paint on Broadway tickets by buying them before you travel to New York. Buying theatre tickets online is safe and easy and, above all, saves you time and money. The plot of War Paint is based on the 2004 book of the same name and the 2007 documentary; The Powder & the Glory. 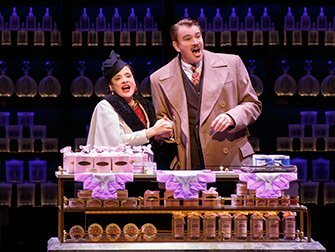 Go to the Nederlander Theatre to see this musical about cosmetics icons Helena Rubinstein and Elizabeth Arden. Rubinstein and Arden were two of the first successful female entrepreneurs from the United States. The self-made business women were arch rivals during their career of more than 50 years, pushing each other to attain the maximum results. Through competition and ambition their businesses grew into two of the cosmetic industry’s biggest successes. War Paint tells the story of these glamorous competitors accompanied with beautiful hats and costumes.